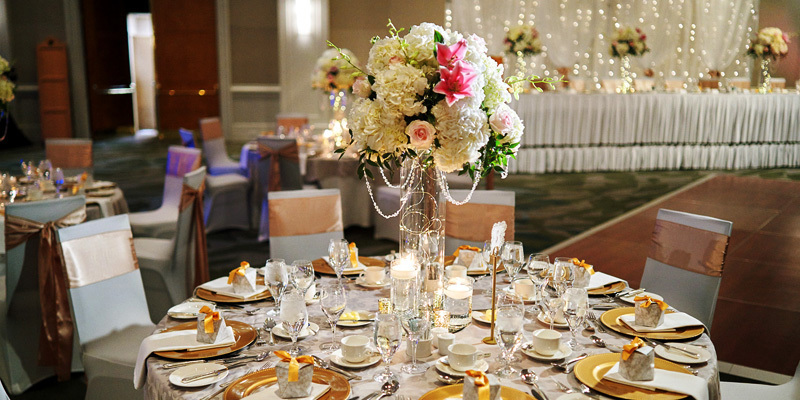 As an accomplished designer and consultant for many years, Crystal offers theme development and personalized design services to assist you in creating graphics for every part of your wedding. Your wedding website, invitations, favours, signage, and floor wrap can have a consistent look that conveys the theme of your wedding. We also offer calligraphy services. 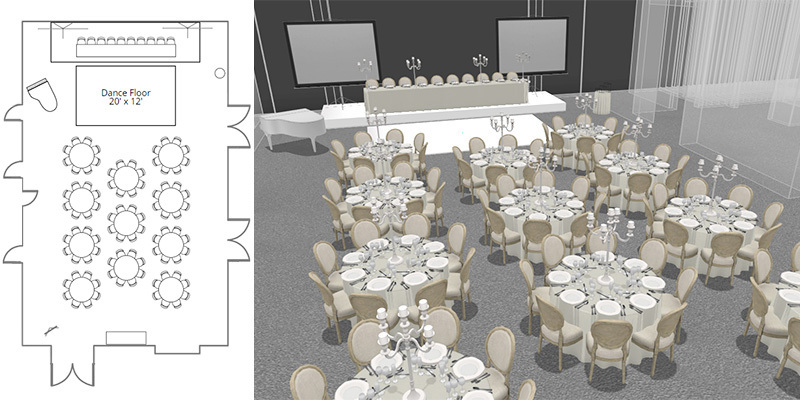 The 2D & 3D floor plan will help you visualize and plan your ceremony and reception layout at ease. 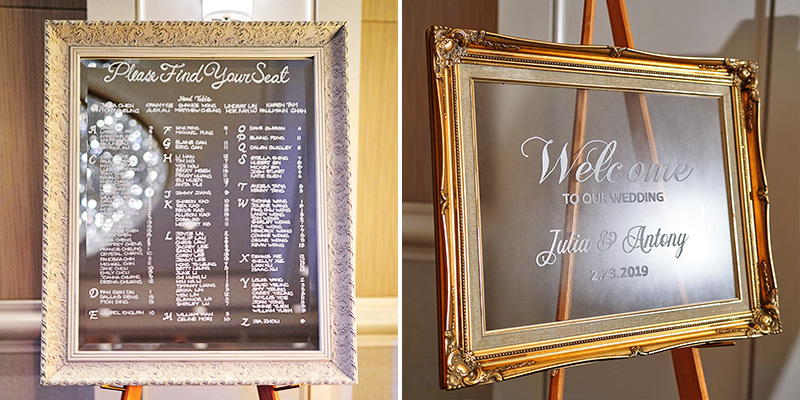 We can also help you plan and manage your menu options for all of your guests, as well as guest check-in on your wedding day. We can also work with your venue’s software if you are provided with access. We do so many things online nowadays, having a wedding website makes it easy to share wedding information with all of your friends and family, it can also help manage guest list and rsvps. For couples that prefer email invitations over traditional paper invitations, we can also assist the creation of your e-invite as well as email schedule and list management. As an image consultant, Celine can advise you in selecting the perfect attire for your wedding day based on body type and skin tone, all while making sure to portray your individuality, and choosing the right outfit will accentuate your best features. This is also relevant for immediate family members and the wedding party who are integral in achieving the completed look for your special day. In addition, with her knowledge of aesthetics and spa care, she can provide tips and tricks of the trade as well as do’s and don’ts leading up to the wedding day.